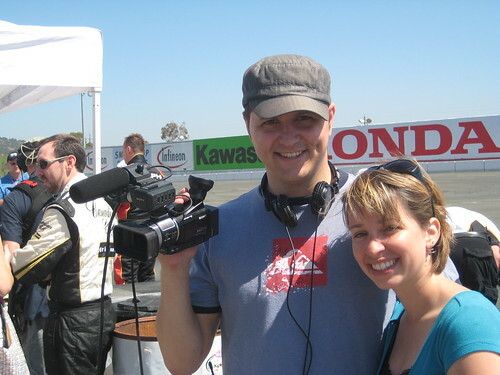 Thanks to Joe for snapping this quick photo of Amy and I on the race track in Sonoma. There is a lot of video footage coming soon of interviews, shooting of the GoDaddy.com commercial, OJ and Dr. Cockney learning to drive indy cars and a whole lot more! Don’t under estimate the power of my little Sony A1U. It may look tiny, but it shoots HD like a big boy.